Many books have been written entirely on the history of Centralia, Pennsylvania and its tragic mine fire. Still others focus on one particular aspect of the Centralia story. 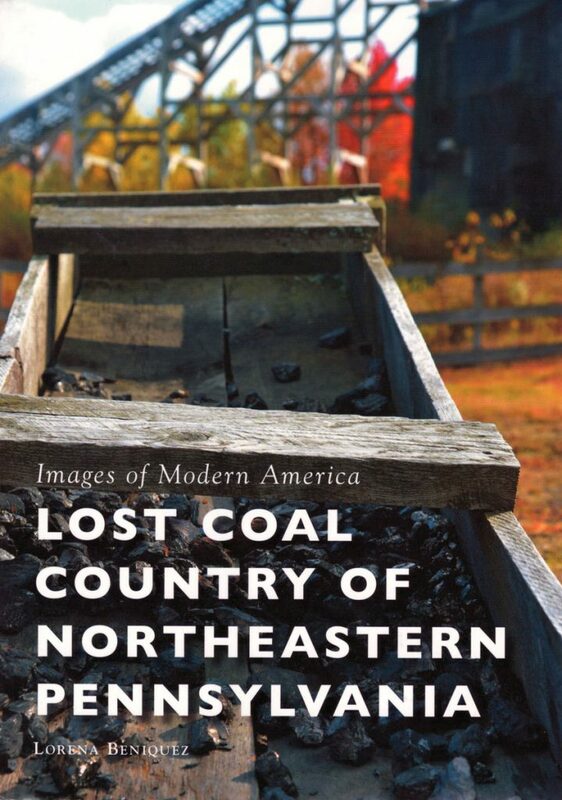 A recently finished book falling into the latter category is Lost Coal Country of Northeast Pennsylvania by Lorena Beniquez. Published in 2017, Beniquez’s book takes the reader on a journey through Pennsylvania’s anthracite coal region. Unlike other books which rely upon low quality, black and white images, Beniquez provides page after page of rich, colorful photographs. Here, her more than 30 years of experience as a photographer really come front and center. Readers are immersed in the slowly decaying world that was once the thriving coal industry of northeastern Pennsylvania. Vibrantly abstract graffiti designs contrast with the greys and browns of a landscape that is gradually being reclaimed by nature. However, Lost Coal Country of Northeast Pennsylvania is much more than just a photo book. Each image is accompanied by a detailed description touching upon key facts, figures, and personal quotations. The book is divided into six chapters that contain the photographic stories of six different places. Chapter one looks at the St. Nicholas coal breaker in Mahanoy City, which has the distinction of being Pennsylvania’s last structure of its kind. Then, chapter two examines the Huber Breaker in Ashley and how it was unfortunately town down in 2014 after years of neglect. Chapter three, entitled “Killing the Canary”, shows the remnants of various coal mines and discusses the Knox Mine disaster. Chapter four explores steam — the power that ran the mines and moved the coal. It provides a terrific look at railroads and the engines that were key to the success of the coal industry. Chapter five digs into the sad story of Centralia and its ongoing mine fire. Many current photographs of the town are included and feature areas like the graffiti highway, graveyards, and the Womer house before it was demolished in 2017. One particularly interesting story provided in the book is that of Stephen Girard, who originally purchased the land on which Centralia was later built. The final chapter in the book examines the lives of miners and the places they lived. This is highlighted through photographs taken from sites such as the Eckley Miners’ Village and Concrete City located not far from Wilkes-Barre, Pennsylvania. Lost Coal Country of Northeast Pennsylvania by Lorena Beniquez is a quick read that covers nearly two hundred years of anthracite coal mining history in Pennsylvania. The book is attractive not only for its beautiful photography, but also for its exploration of a fading industry and the lives of the people it impacted. The book is 95 pages long and can be bought directly from Amazon.com .